Exp Cell Res, 2017, 359(2):384-393. LY411575 purchased from Selleck. Procedures for measuring γ-secretase activity in membranes prepared from HEK293 cells expressing APP have been described previously (Zhang L et al Biochemistry 40, 5049-5055). Intact HEK293 cells expressing either APP or NΔE are treated with various concentrations of LY- 411,575 for 4 hours at 37 °C. In the case of cells expressing NΔE, cells are lysed, the cell lysates are separated on a 4-12% NuPAGE gel, and the processed NICD fragment is detected via Western blot with a cleavage site-specific antibody. The inhibition of NICD production is quantified by spot densitometric analysis using FluorChem. In the case of cells expressing APP, the conditioned medium is collected, centrifuged at 10,000 × g for 5 minutes to remove cell debris, and stored at -20 °C prior to the determination of Aβ levels. Aβ40 and -42 produced in HEK293 membrane- and cell-based assays, as well as plasma Aβ40 and cortex Aβ40 from TgCRND8 mice, are analyzed without pretreatment using an electrochemiluminescence detection-based immunoassay. Plasma Aβ42 is measured by enzyme-linked immunosorbent assay. A commercially available enzyme-linked immunosorbent assay kit is used to measure cortex Aβ42 according to the manufacturer''s instructions. Formulation: LY-411575 is formulated as 10 mg/mL solutions in 50% polyethylene glycol, 30% propylene glycol, 10% ethanol and diluted in 0.4% methylcellulose for dosing. Wong GT, et al, J Biol Chem, 2004, 279(13), 12876-12882. Curry CL, et al, Oncogene, 2005, 24(42), 6333-6344. Hyde LA, et al, J Pharmacol Exp Ther, 2006, 319(3), 1133-1143. 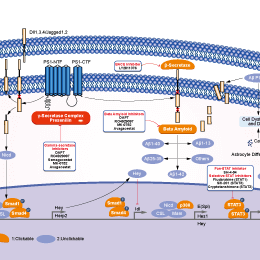 Does this inhibitor act on beta-secretase?. LY411575 has been reported to inhibit gamma-secretase, currently, there is no publication reporting its inhibition on beta-secreatse. 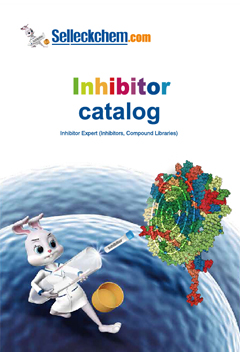 RO4929097 : γ-secretase inhibitor with IC50 of 4 nM, inhibiting cellular processing of Aβ40 and Notch with EC50 of 14 nM and 5 nM, respectively. Phase 2.